Sheezen Cleaning provides domestic cleaning services in Manchester and its neighbouring areas. The company has a team of cleaner who has a reputation of delivering outstanding services to all their clients. 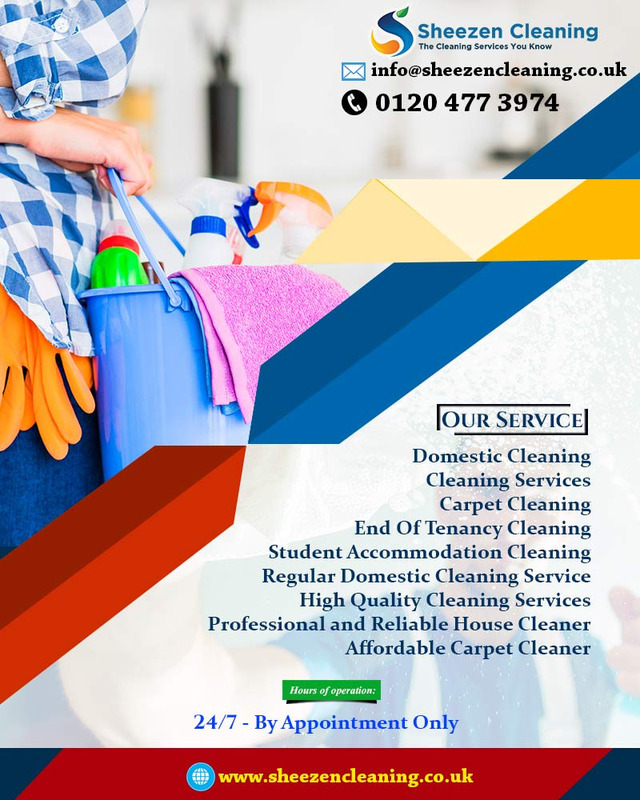 Over the years they have received a lot of appreciation from their customers thus you can rely on the company and appoint them for cleaning services. No matter what kind of cleaning has to be done, they can accomplish all sorts of tasks. If you want to maintain cleanliness then, feel free to contact the professional for support. You can even visit the website for details. Services client provides: Domestic Cleaning, Carpet Cleaning, End of tenancy cleaning. Hours of operation: 24/7 - By Appointment Only.